Much is often, quite rightly, made of the pioneering polar explorers who made the first forays into the Arctic and Antarctic from the 19th Century until the 1920s. The tales of Mawson, Scott, Amundsen, Nansen and Peary grip the imagination with their bravery and negligible chances of rescue. Although the North and South Poles have been reached overland all those decades ago, there is still a significant but small group of polar travellers who continue to push back boundaries in the polar regions. They are in most cases totally unknown outside of their own countries and are often forgotten in deference to those with powerful publicity teams. Every week, I hope to publish a new blog article to illustrate the remarkable expeditions of another modern polar great. Will Steger came to prominence in the early 1980s after decades of education in wilderness travel and driving dogs. This was a time when polar expeditions were infrequent and without any of the support infrastructure which many have access to today. He made his reputation as a skilled specialist in dog-supported expeditions. After the disputed claims over the North Pole by the likes of Cook and Peary, Steger was able to reach the North Pole in 1986 in the first confirmed successful dogsled expedition. He then followed this with a massive 1,600 mile south-north crossing of Greenland. This distance has still not been exceeded unsupported with dogs. 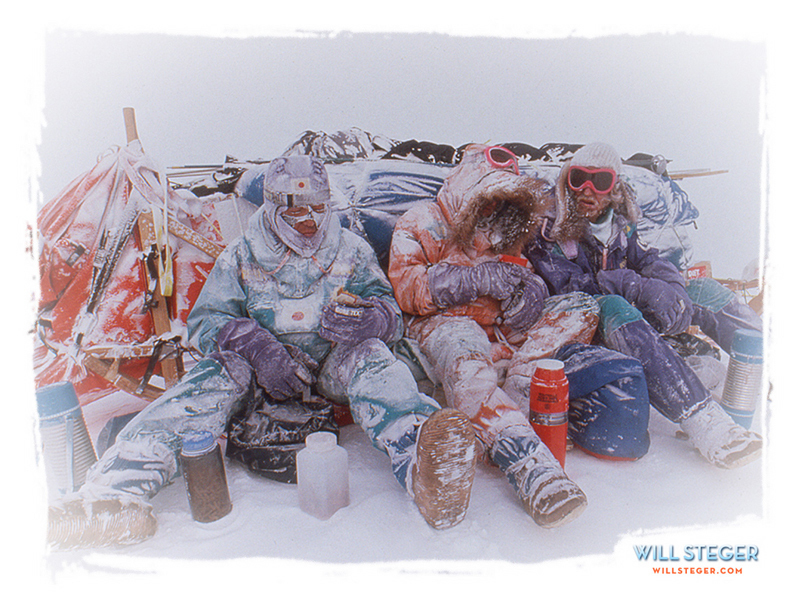 Steger's headline expedition came in 1989-90 with the International Trans-Antarctica Expedition. The aim was to cross the Antarctic continent in its entirety and via a long route, 3,741 miles. This involved a large dog team and resupplies to keep the expedition moving for seven months. Following the culmination to his expedition career, Steger is a high-profile ambassador for combating climate change and created the Will Steger Foundation.